Tom leads the work of North Olympic Land Trust, based in Clallam County. He has a long history of community involvement throughout the Port Angeles area, supporting local non-profits and efforts that are designed to build a vibrant and sustainable community. 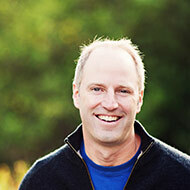 Prior to his time at North Olympic Land Trust, Tom was the executive director of Olympic Park Institute, a campus of NatureBridge, and the education partner of Olympic National Park. He holds a graduate degree in Management from Antioch University, Seattle. Tom lives in Port Angeles with his wife Carrie and daughter Abby.